The iTunes Gift Card is delivered online to your customer account and email. Orders are processed within 1-2 minutes and for returning customers in less than 60 seconds. You will have immediate access to the iTunes Gift Card code, you can then redeem the code on your iTunes store account or gift it to a friend. You can use the funds in your iTunes account to purchase apps, books, music and TV shows. The best feature of using gift cards is you can fund and access the US iTunes Store from abroad. The gift card will work from anywhere in the world. You can buy iTunes Gift Cards in the following denominations: $5, $10, $15, $20, $25, $30, $50 and $100. You can pay for the gift card with Paypal, Visa or Mastercard. 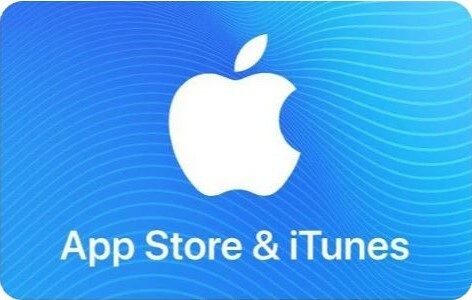 App Store & iTunes Gift Cards cannot be used to pay for goods and service outside of iTunes & the Apple App Store, beware of someone asking you to purchase an iTunes Gift card to pay for other things.